This played on Canada's CTS recently and I was glad to have the opportunity to see this rare piece of historical drama. I wonder how many other networks would play a movie about the trials and tribulations of the translator of the English Bible. 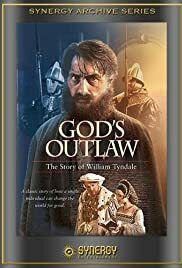 This is a captivating story for those with an interest in the Bible, history and period films. If they made collectable superhero cards for translators, William Tyndale would be on one of them. The dialog is well written and the performances are solid, fine English stage-type acting. Not Oscar award material but as watchable as any period stage drama I have seen.